(SPOT.ph) From being considered a lighter alternative to rice meals, the sandwich has since graduated to a meal on its own. It helps that the Metro now has lots of great places that offer different kinds of sammies, from classics like BLTs and grilled cheeses to their own creative takes. You can’t really go wrong with two pieces of bread stuffed with all the good fixings, but these 10 stores take the sandwich to the next level. Chuck’s Deli took a four-year hiatus but they’re back and ready to prove that they’re worth the wait with a new shop in Poblacion. If you’re a longtime fan, all your favorite Slabwiches are back, like The Buffy (P375), stuffed with hefty fried chicken chunks coated in a spicy-tangy Buffalo sauce and slathered with cool garlic sauce for a welcome bite of acidity. The Faking Duck (P375) is a cheaper way to sate your Peking duck cravings, and the melt-in-your-mouth, succulent pork coated in a sweet-smoky hoisin sauce is no poor substitute, either. Aside from the Slabwiches, you can also fill up on Poutine and Milkshakes topped with decadent toasted marshmallow fluff. This small booth with the provocative name boasts a Fried Chicken Sandwich (P250) with a subtle spice to keep things exciting. But if fried chicken isn’t your thing (we know you guys exist and we’re trying our best not to judge), Sidechick also boasts a great Grilled Chix Pesto (P250)—with bread from neighboring bakery Panaderya Toyo plus a juicy grilled chicken, a whole roasted pimiento pepper, and cheese, you know you can’t go wrong. 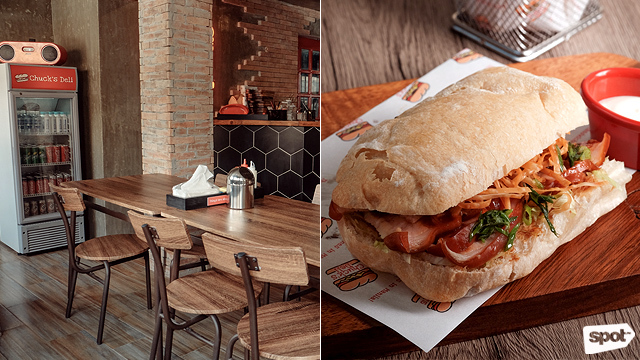 They also offer a Pastrami Sandwich (P350) if you prefer a classic. While they’ve recently become known as a great after-work hangout with monthly unlimited-wine deals, Refinery also makes a great choice for brunch or lunch with their excellent sandwiches selection. We’ll turn into an early riser if it means having the Bacon French Toast (P345) every morning, with pillow-soft brioche slices stuffed with a blend of melted mozzarella and cheddar, plus maple-smoked bacon, with a generous serving of vanilla cream on the side for an addicting sweet-salty combo. They also offer a pretty varied menu of grilled sandwiches: The Grilled Salmon Melt (P395) with velvety salmon and creamy cheese is a crowd favorite for good reason. 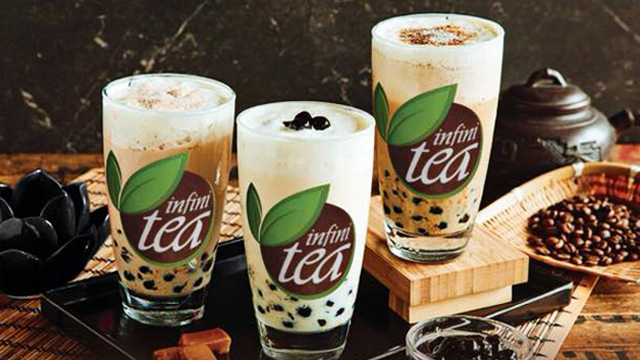 Refinery is at Joya Lofts and Towers, Rockwell Center, Makati City; and Promenade, Greenhills, San Juan City. 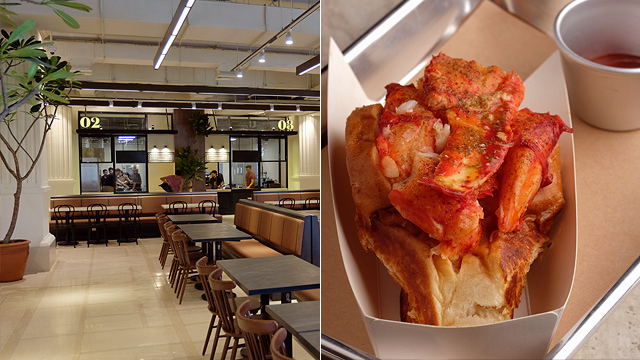 Anyone who has been to Power Plant Mall’s food hall, The Grid, has been raving about Bun Appetit’s Lobster Roll (P695), and we’re honestly not surprised. Fair warning: It does come with a hefty price tag, but the generously buttered roll topped with overflowing fresh, sweet lobster is well worth it. If you’re watching your budget though, their other rolls and grilled sandwiches, stuffed with your choice from shrimp or crab are also worth your attention. Make it a filling meal and have the hearty and rich Clam Chowder (P220). Bun Appetit is at The Grid, Level R2, Power Plant Mall, Rockwell, Makati City. Tucked in a quiet corner of White Plains is cozy café Common Folk. 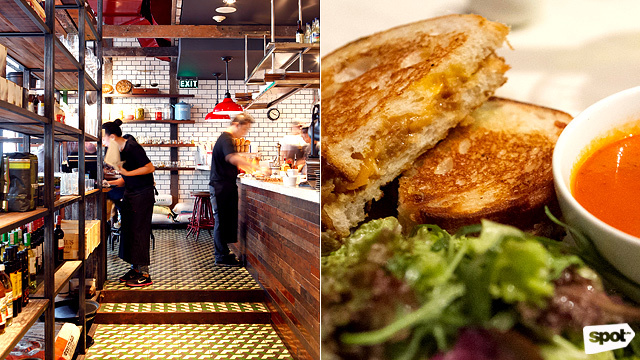 Like their neon sign announces, there are “no bad days,” here, especially when you have their Say Cheese (P260), a hefty grilled cheese sandwich oozing with warm, gooey cheese, and served with a warm bowl of tomato soup. 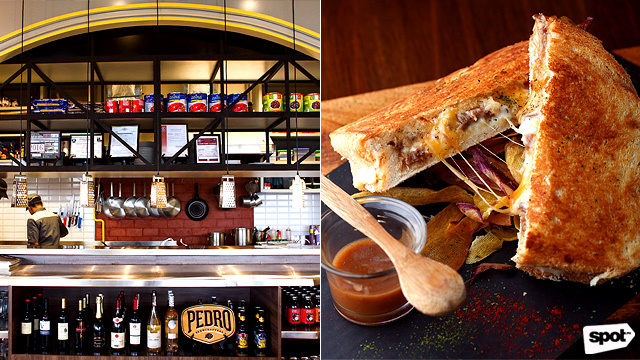 If you’re in the mood for something heftier, get the Ham and Cheese Cubano (P250), with ham, cheese, pickles and honey mustard between toasted crusty bread, while those with an extra voracious appetite will appreciate the House Sub (P260) with three sandwiches stacked on top of each other. Don’t forget to pair your meal with a Cafe Latte or a Flat White. Pepi Cubano has been around since 2006, which is more than enough to let you know that their sandwiches have staying power. 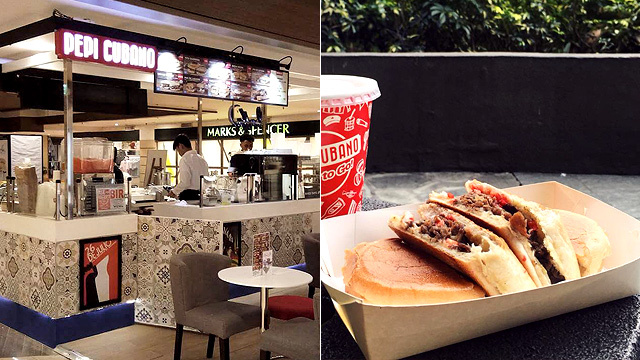 They’ve moved from a brick-and-mortar shop in Legazpi Village to shops in several malls all over and even outside Manila, but they’re still serving up the same tasty cubanos. These flat sandwiches may not look hefty, but they can be really filling, and they’re packed with flavor, too. You can’t go wrong with their signature, The Cubano (P165), filled with ham, pickles, and cheese, brushed with butter and toasted ‘till golden. Though if you’re in the mood for something meatier, you can opt for the Pan De Lechon (P155) filled with crispy roast pork or the Pan De Bistek (P170) with thinly sliced beef. 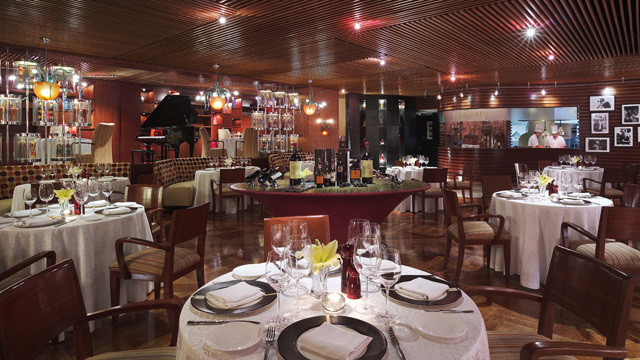 See a list of Pepi Cubano branches. 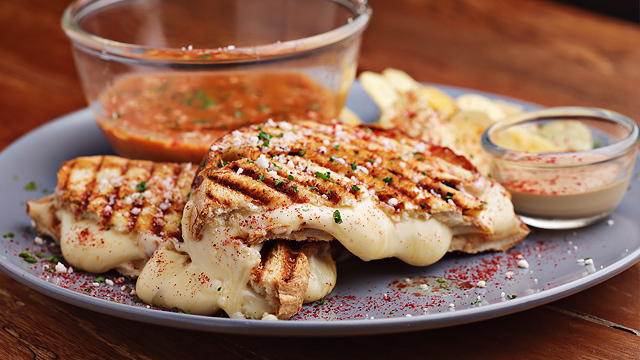 As their name suggests, Melt Grilled Cheesery is about all things cheesy—and that includes grilled cheese sandwiches. 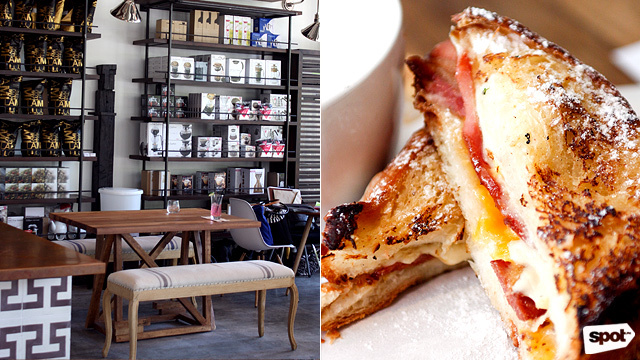 While they offer a pretty amazing Classic Melt (P275) with a special blend of mozzarella and cheddar stuffed between two generously buttered sourdough slices, they have unique renditions of the classic sandwich you shouldn't miss. The Bacon Mac & Grilled Cheese (P395) is filled with crisp, maple-glazed bacon strips and macaroni and cheese for a comfort-food fusion sure to warm you up. If you’d rather chow on something sweeter, the Dulce de LeCheese (P295) has a sandwich stuffed with mozzarella, cheddar, and cream cheese, and topped with vanilla ice cream. Melt Grilled Cheesery is at Uptown Mall, Uptown Bonifacio, and Molito Commercial Complex, Alabang, Muntinlupa City. Whether you’re a freelancer always in need of a coffice or someone who’s just tired of your dreary office cubicle, YDG is a godsend. 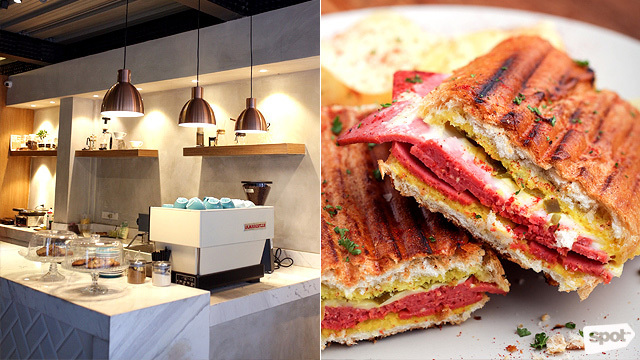 Not only are their laid-back, cheerful interiors sure to lift your spirits, but they also serve excellent sandwiches to go with their coffee. The Grilled Cheese Sandwich (P180) looks unremarkable but YDG proves that sticking to the original is a good thing, especially when you can do it excellently. With a blend of three kinds of cheese oozing out of generously buttered sourdough slices (from 28 Derby), their grilled cheese can do no wrong. If you want to go a bit out-of-the-box though, have the Sriracha Egg Sandwich (P150), an English muffin filled with scrambled egg, with a kick from Sriracha mayonnaise. Quintessential brunch place Wildflour also offers a pretty varied menu of sandwiches—and because they’re by Wildflour, you can be sure they’re served stuffed between excellent bread. 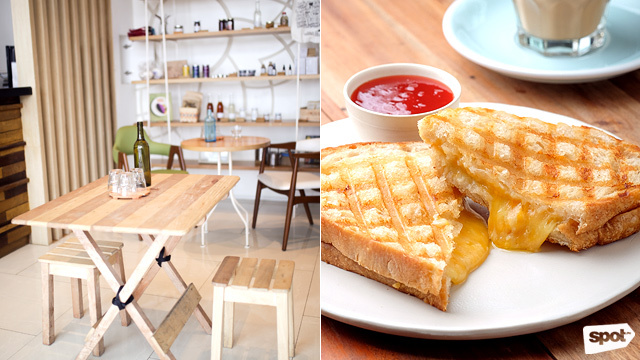 Their Grilled Cheese Sandwich (P395) made it to the number one spot of SPOT's top 10 list, which is more than enough reason to give it a try. The Croque Madame (P440) is a classic breakfast sandwich, with country ham and gruyere layered between two soft slices of bread and topped with creamy bechamel sauce and fried egg. 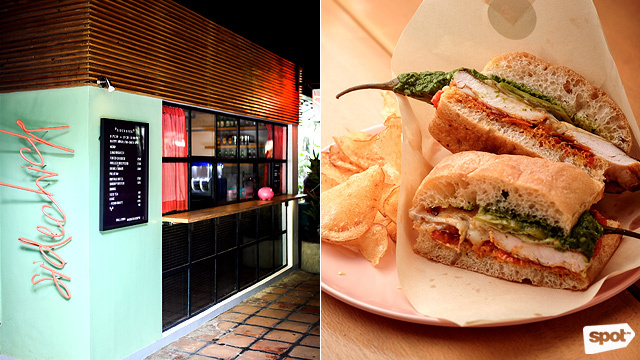 If you’re dropping by for lunch, you can choose between their signature Fried Chicken Sandwich (P450) with spicy Caesar dressing or a light Tuna Melt (P450). 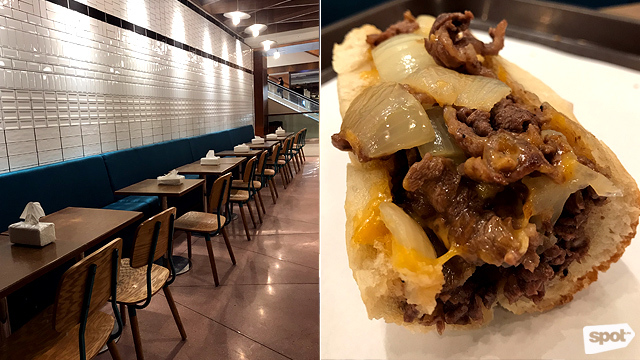 After a stint in Alabang, Elbert’s Sandwich Shop is now back at their original home at Power Plant Mall, and they’ve pared down their menu to focus on what truly matters: Their heavenly Cheesesteak Sandwiches. An order of their Cheddar Cheesesteak (P410/classic, P320/hoagie or five-inch roll with lettuce and tomato) will get you a liberally buttered roll that’s stuffed with savory, juicy steak that’s cut into generous strips plus grilled onions, cheddar, and even more butter. It’s hard to think of anything else after this roll but Elbert’s also offers a mean burger as well other sandwiches like a Tuna Melt (P250/cheddar, P280/Provolone) and a Truffle Mushroom Melt (P290). Elbert’s Sandwich Shop is at Level R2, Power Plant Mall, Rockwell, Makati City.